The membranes surrounding cells and organelles constitute their interface with the local environment. 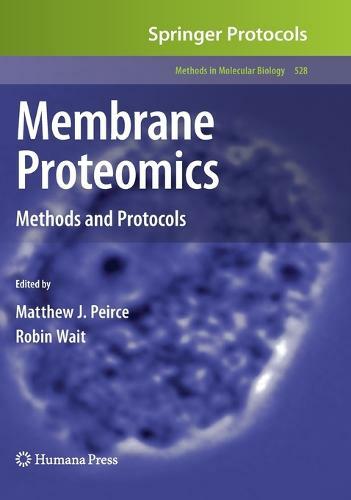 The functions of membrane proteins include cell/cell and cell/extracellular matrix recognition, the reception and transduction of extracellular signals, and the tra- port of proteins, solutes and water molecules. Abnormal membrane protein expression has profound biological effects and may, for example, underlie phenotypic and functional differences between normal and tumour cells. Moreover the accessibility, particularly of plasma proteins traversing the plasma membrane of cells, makes them of particular ut- ity to the therapeutic intervention in disease. Indeed, it is estimated that of all currently licensed pharmaceuticals, approximately 70% target proteins resident in the plasma m- brane. In theory, unbiased technologies such as proteomics have the power to de?ne patterns of membrane protein expression characteristic of distinct states of cellular development, differentiation or disease, and thereby identify novel markers of, or targets for intervention in, disease. However, although about 25% of open reading frames in fully sequenced genomes are estimated to encode integral membrane proteins, global analysis of membrane protein expression has proved problematic. Membrane protein analysis poses unique challenges at the level of extraction, solubilization, and separation in particular, and to a lesser extent of identi?cation and quantitation. These challenges have, however, fostered creativity, in- vation, and technical advances, many of which are brought together in Membrane P- teomics.